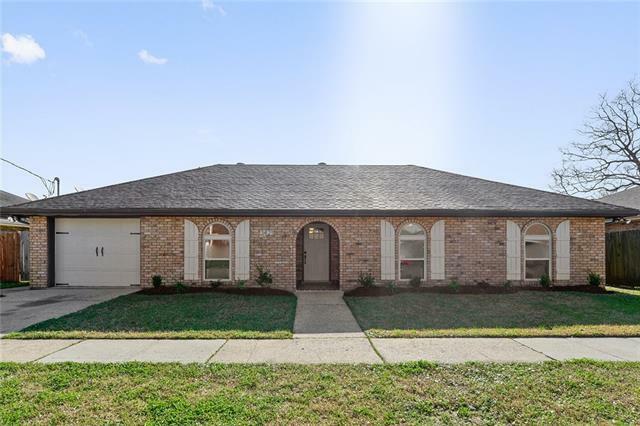 Welcome to 3421 Riverland Dr in the heart of Chalmette, La. This 3 bedroom 2 bath home has been completely renovated. Kitchen features NEW stainless appliances and granite counter tops which leads to the breakfast area and formal dining room. All brand new lighting fixtures and flooring. Master bedroom with en suite. Bathrooms feature quartz counter tops and tiled bath. Home is also equipped with an attached garage and a large fenced yard with covered patio great for entertaining. Home is in a B flood zone! Listing provided courtesy of Mandi L St Romain of Gardner, Realtors.